How to create a successful blog is no longer a mystery to me. I can safely say that because after returning to blogging - I gave myself 3 months to start showing sales. It occurred to me that blogging is not a sprint but a marathon. In 2 weeks time, it will be my blog's 3-month anniversary, and I have met my goals. The blog has started to make money! In a hurry? Click on the image below to find out how I do it. I've always known that blogging is a lucrative online business venture, but would get cold feet along the way. I decided to get out of my comfort zone and follow Robin and Lesley, and learn how to create a successful blog and earn an income from it. After-all, it is the only way to succeed i.e follow the successful people. The journey has been and still is exciting for me because I learn every day from these ladies - as well as the other bloggers in the group. Amazon sales are starting to trickle in, my Google Adsense is making tremendous progress because I receive good traffic to my niche blog, all thanks to following the instructions of the blogging course. I got moved today when I saw a blog post that was plastered with Google Ads and had the thinnest content I've ever seen. I realized how lucky I was that I got myself into one of the blogging courses from Pajama Affiliates. One can easily dismiss this as an exaggeration, but believe me, it is not. Receiving proper mentorship and training is the first step to creating a successful blog. Skipping this part is just delaying your own success. Robin likes to talk about one's inner game. This normally comes in the form of live videos posted on our Facebook group. Together with the training, your mental attitude becomes just as important in building a thriving business. Despite giving myself a 3-month period for signs of blogging success, I became quite despondent when I realized that the blog was actually approaching my cut-off period - but I knew better not to throw in the towel. In that same week, I recorded my first Amazon sale as a Pajama Affiliate. I'm nowhere near my financial goals for my blogging business, but I now know what works so I'll relax, rinse and repeat - while still benefiting immensely from the ongoing and lifetime mentorship. I am not mentioning social media or SEO because, in my opinion, all these are part and parcel of a training program. 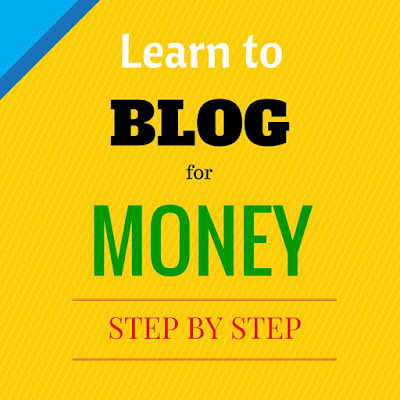 The blogging training one receives will definetly cover these topics.